The Peters came to us with a clear objective in mind: inexpensively turn their lush, secluded lot into a modest retreat for their young, growing family. The response is a contemporary interpretation of rural vernacular architecture. The simple house form is nestled into the sloping site at a clearing in the woods. The typical stacking order of floors was reversed with sleeping areas on the lower levels and living areas on the third floor where large expanses of glass connect the interior to the exterior creating an open area that becomes a light-filled “treehouse.” A spacious kitchen with double islands and without the traditional upper cabinets allows a panorama of views into the surrounding treetops. 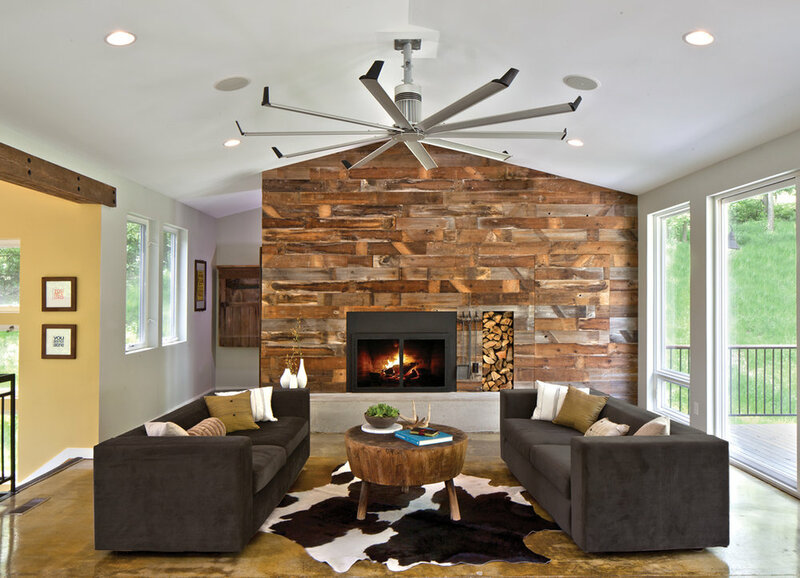 Highlights include the fireplace wall, clad with reclaimed wood from the family’s barn, concealing hidden spaces within and a library nook behind. The home also features a geo-thermal heating and cooling system.